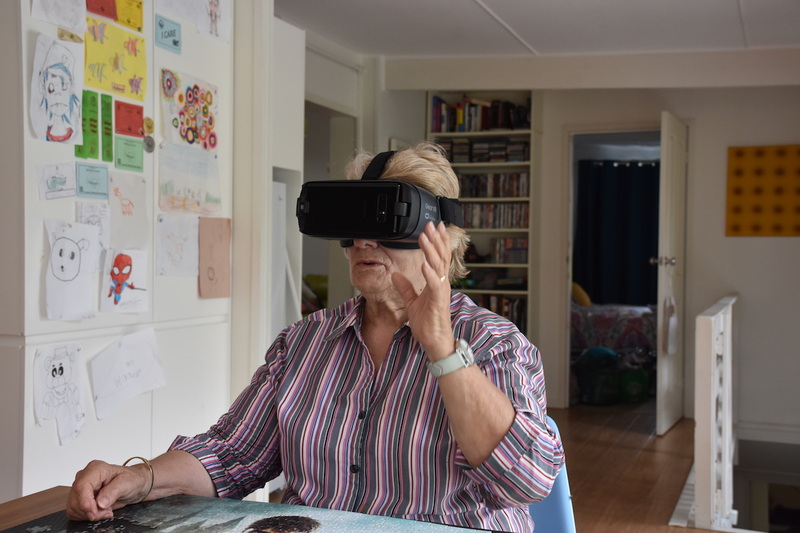 Aged and community care provider Bolton Clarke has introduced virtual reality technology (VR) to its At Home Support services to help clients reduce anxiety, pain and movement during wound dressing. After VR adventures like ‘swimming’ with dolphins, patients reported a marked improvement in their experience. VR intervention has emerged in clinical care primarily as a non-pharmacological method to distract patients from uncomfortable experiences, and has been used in hospital settings during invasive procedures such as lumbar punctures, biopsies, dental extractions and as an adjunct to pharmacological pain relief. The technology uses a head-mounted display and head tracking system to immerse patients in a calming and simulated environment. VR works by challenging the client’s attentional resources, reducing their ability to process pain at the usual intensity during wound dressings and other anxiety provoking procedures. How does VR help pain? VR acts as a cognitive distraction from the pain stimulus, interfering with nociceptors inputs and resulting in lower reported pain levels. The introduction of VR as a positive experience may contribute to positive psychology, which is related to decreased sensitivity to pain and negative emotions for clients with chronic health issues. Bolton Clarke nurses have reported that VR interventions led to less patient movement during wound dressing, making the process both quicker and easier. Clients are immersed in a simulated environment via an app on a mobile phone which is inserted into the headset that allows them to engage and feel immersed in the simulated reality. The image is 360 degrees, allowing clients to move their head and see more imagery. To date, the most popular content has been underwater interactions with computer-generated whales and dolphins. Research shows levels of reported pain are associated with the level of attention given to the pain stimulus, so the introduction of a competing stimulus such as swimming underwater interferes with pain receptors and results in lower reported pain levels. The immersive nature of VR can contribute to a decrease in negative emotions and affect sense of balance and spatial orientation. Studies have explored the effect of VR on time perception during invasive clinical procedures. Researchers found that participants had an altered perception of their chemotherapy duration, with most individuals estimating that their therapy had lasted 47 minutes, when the average treatment was 58 minutes.